Museum collections need special care if the objects they look after are to survive for future generations to enjoy. The Sedgwick Museum has a purpose-built geological conservation laboratory located in West Cambridge where the Museum’s Conservator is based. 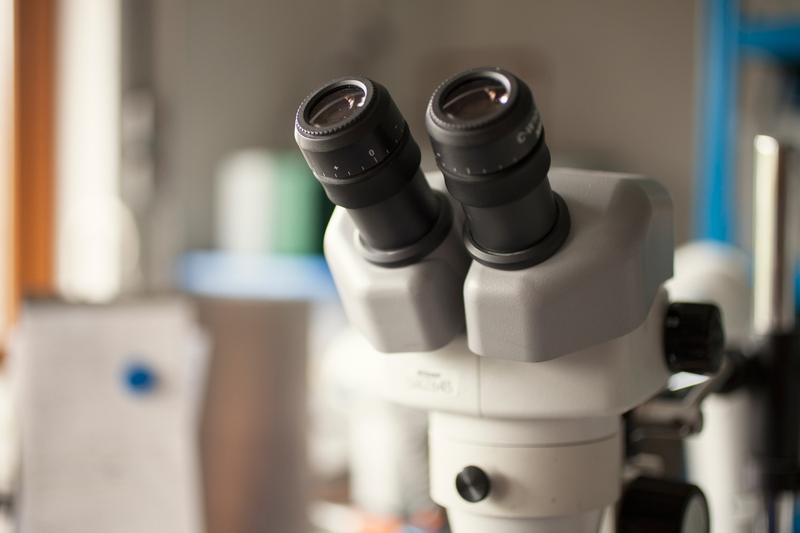 Why does the Museum need a conservation laboratory? Many of the Museum’s collections require special care to ensure their long-term survival. Some objects decay when they are exposed to air that is too humid or too dry, or if they are exposed to too much light. This affects a whole range of objects that the Museum holds in its collections, from photographs, paper and paintings held in the Museum’s Archive to fossils, minerals and rocks. 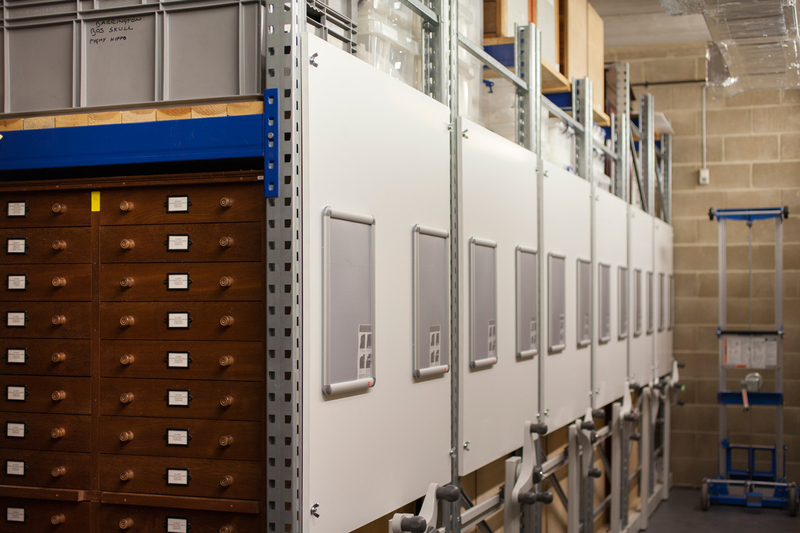 To maintain the correct conditions (to halt or prevent decay), some of the Museum’s collections are stored in climate controlled environments or are kept in low light levels. To monitor the conditions that these objects require, special equipment is used. A system of radio telemetry transmitters (that send information about humidity and temperature) send data to a central computer. 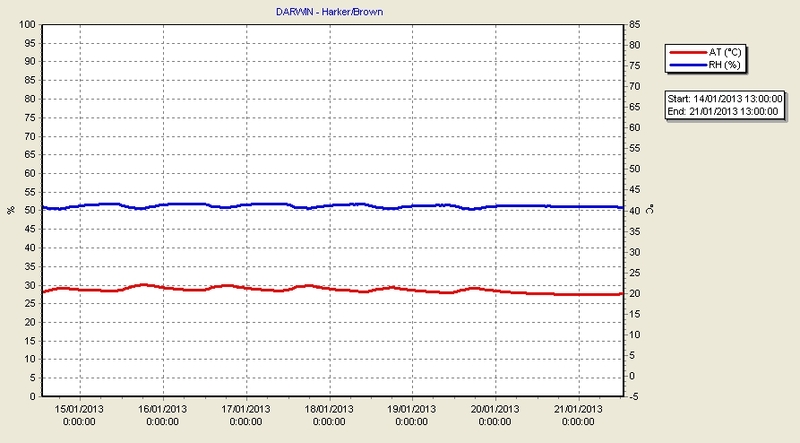 Below you can see a graph that shows some of the data that is collected and an example of a transmitter. 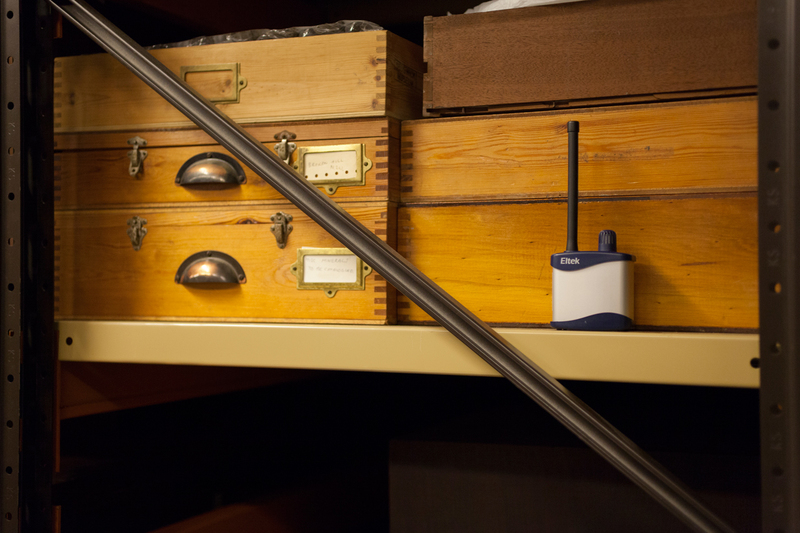 The Museum has many of these transmitters in it's stores and public galleries. The Conservation Laboratory also prepares specimens for exhibition, repairs damaged specimens and helps to maintain the Museum’s existing displays. 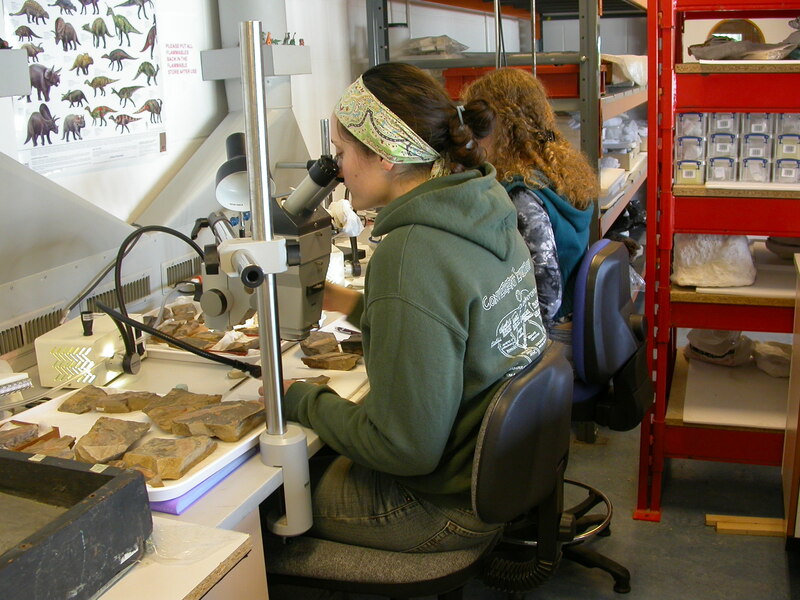 Undergraduates in their 4th year from the Department of Earth Sciences (the University Department which the Museum is part of) and research students use the laboratory for their project work. The Conservator teaches them fossil preparation techniques, specimen handling and supervises their laboratory work. Undergraduate conservators also come to the laboratory on course placements for other Universities. Here they learn about geological conservation techniques. The laboratory is also used by other conservators in the region who require laboratory space and equipment. Fossil preparation is one of the specialised techniques provided by the laboratory. Preparation involves removing rock from a fossil to expose it. The purpose of this is to enable scientists to study the fossil and to make the fossil more visible so that it can be exhibited. The tools that are used for this type of work are small drills similar to dentist’s drills, jeweller’s drills or compressed air driven drills. Sometimes repeated soaking of the fossil in dilute acid, to remove the surrounding rock, is used to prepare very delicate fossils or large fossils that would be difficult to work on using drills. The fossils are prepared under a stereo microscope so that the delicate surface of the fossil isn’t damaged by the drill. Traditional mechanical and chemical preparation techniques are being enhanced by more sophisticated scanning methods, such as CT scanning or Sincrotron scanning. These techniques enable scientists to see through the rock to the fossil inside, producing 3D images of the bones or other tissues. 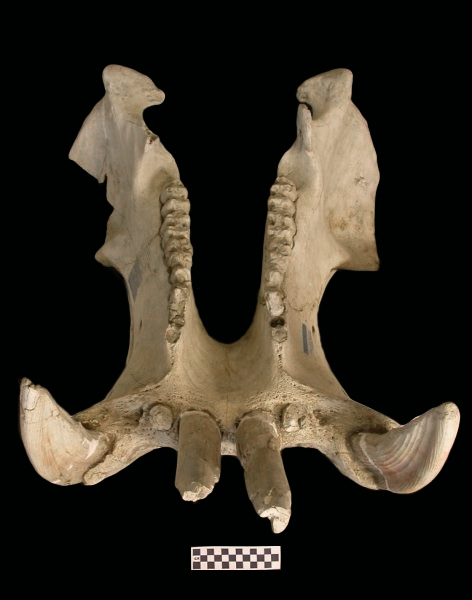 However, the two techniques are often complimentary as it is often necessary to remove large areas of rock from a fossil to facilitate scanning, or to clean delicate areas of anatomy revealed by the scanning process. Pierce, Stephanie E., Ahlberg PE, Hutchinson JR, Molnar JL, Sanchez S, Tafforeau P, Clack JA. (2013). 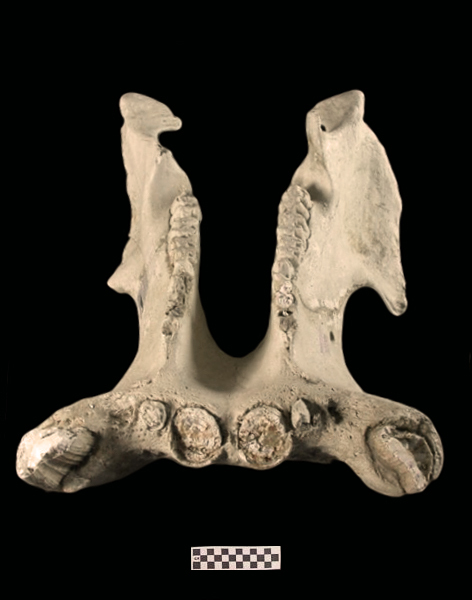 Vertebral architecture in the earliest stem tetrapods. Nature, 494(7436): 226-229.